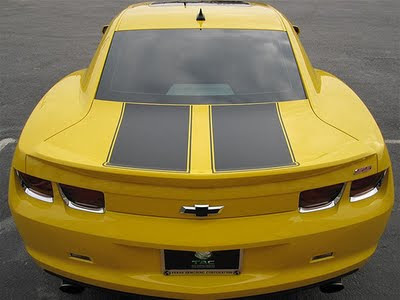 INDIANAPOLIS – When the Chevrolet Camaro Convertible sets the pace for the 2011 Indianapolis 500 this Sunday, it will showcase a top built to last a lifetime, operate worry-free and maintain the appearance of its Coupe sibling. To assure long-term durability, the convertible top underwent extensive testing during development, being opened and closed more than 22,500 times – three times more than would be expected in a typical 10 years of use. Some of those cycles were performed in extreme conditions; temperatures ranging from minus-22° F to 170° F and humidity of up to 95 percent. Every Camaro Convertible undergoes a water test as it completes assembly in Oshawa, Ontario. In addition, vehicles are randomly chosen to undergo an eight-minute water test at the assembly facility in Oshawa and at an identical facility at the GM Proving Ground in Milford, Michigan. More than 7,200 gallons of water are hurled at the car in a hurricane-like downpour at a pace of 900 gallons per minute. 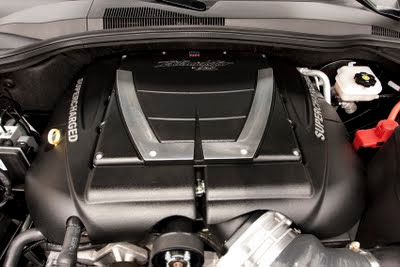 Addressing another aspect of interior comfort, Camaro Convertible’s three-layer top includes an acoustical liner made of rubber sandwiched between an acrylic square weave outer fabric and an inner reinforcing cotton layer. Engineers use a sophisticated human-ear mimicking device called the Aachen Head to measure noise levels. 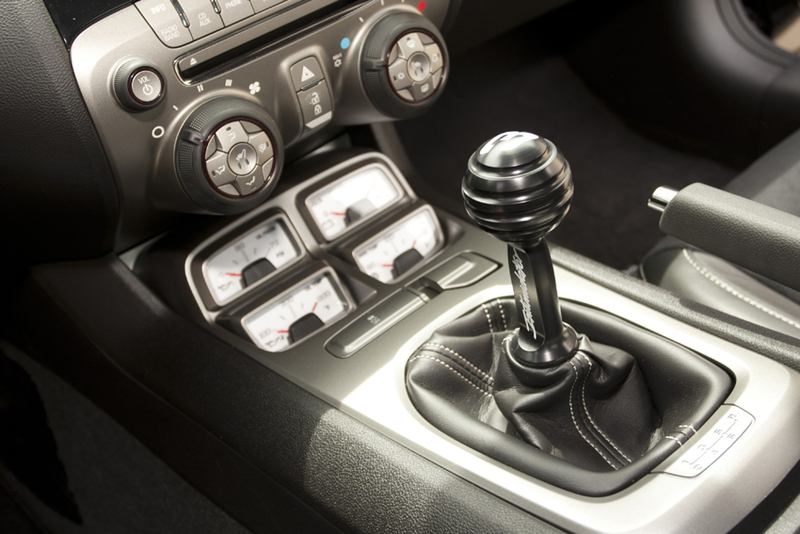 According to recent GM road test data, the Camaro Convertible achieved a better interior quietness acoustical rating than the Ford Mustang in interior quietness. 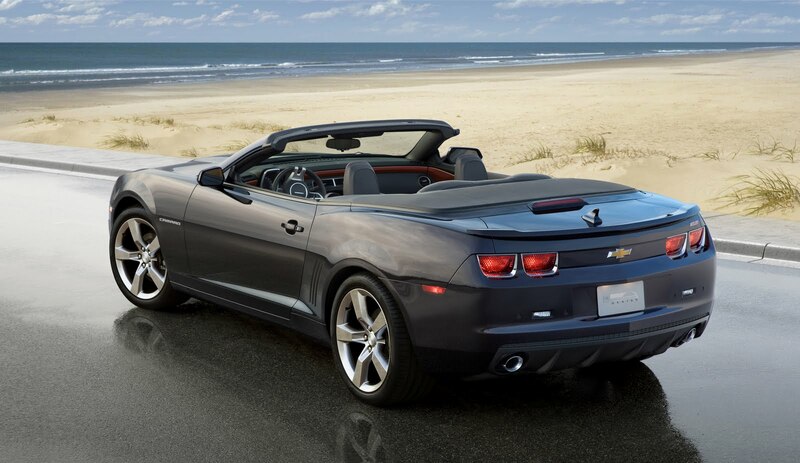 “For many buyers, a Camaro Convertible can be a collector car, something they might keep for generations. So we made sure the tops would retain their quality for a long, long time,” said Oppenheiser. “There is great value in a convertible with the original top.” Oppenheiser knows the needs for car collectors well. He personally restored a 1969 Camaro Convertible several years ago. Unlike other convertible models in the segment, the Camaro top latches with a single, convenient handle located at the center of the windshield header. Once the latch is turned to the open position, the push of a single button lowers the windows and activates the top, which completes its cycle in about 20 seconds. To learn more about the extreme measures employed by Camaro Convertible engineers to verify quality and durability, watch the video below. He’s got a point. Back in the grim days of the 1970s--when gas prices were high and American-made quality was low--the state of Detroit-based performance cars was indeed bleak. But the current crop of these famed cars is the best ever. For perspective, a 1987 5.0-liter Camaro produced around165 hp. My friends and I thought that was a big deal. Coupled with its direct-shifting six-speed manual transmission, today’s top-level 6.2-liter V8 makes 426 great-sounding hp…and still returns 18 mpg overall in CR’s testing. We had a chance to spend some time in the new-for-2011 convertible version. Click on the accompanying video below to experience the latest drop-top fun from one of the most legendary models ever to wear a bowtie. Abu Dhabi: The Yas Drag Racing School is offering the public the chance to take a Chevrolet Camaro SS for a spin on a world-class drag racing strip in June. 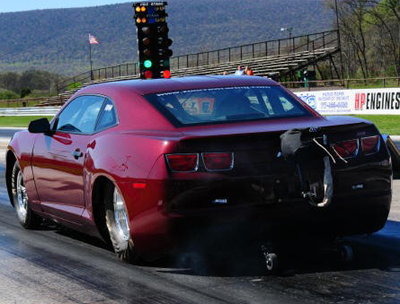 The school has six Camaros on its fleet to help train future drag racers. Anyone with a driving licence can get behind the wheel of the iconic muscle car. Drivers will receive a safety briefing before taking a training run down the strip with a qualified drag racing instructor riding with them. Instructor and student swap places for one run. If the instructor is satisfied with the student's technique and ability, he/she then gets six solo runs in the car. "We wanted to give as many people as possible the chance to experience a true American muscle car on the drag strip," said Rashed Al Qubaisi, Head of the Yas Drag Racing Centre. "Some people are reluctant to take their own cars to the strip [for fear] they [might] damage [their car's] clutch or the. Our new Yas Camaro Drag Race Experience allows them to enjoy the thrills of drag racing in a safe environment." That seems to be the result when political correctness filters down to the racing community. While Donald Trump has become a characturer of himself, it seems the usual, ridiculous claims of racism toward the POTUS have impacted the racing community. Was he a great pick from the start? No, but it's become more about marketing and popularity in recent years. Recent complaints from so called 'fans' of the Indy 500, even a facebook group dedicated to having Trump replaced seemed to have an impact. It was so much more about people not liking 'The Donald' than his being 'fit' to pace the race. The replacement is A.J. Foyt, a much more fitting choice considering this is the 100th anniversary of the Great Race. Foyt is only the second replacement pace car driver, the first was Elaine Mellencamp (John Mellencamps' wife) when she replaced an injured Greg Norman. We look forward to seeing A.J. 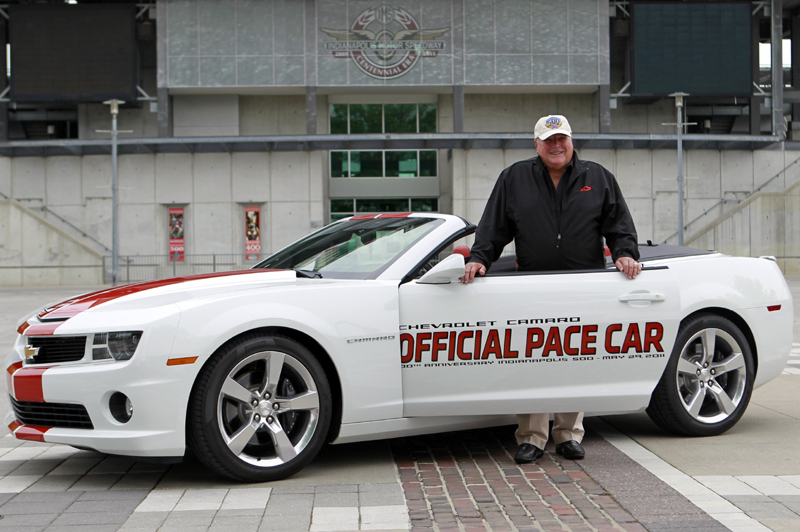 Foyt pace the Great Race on May 29th! 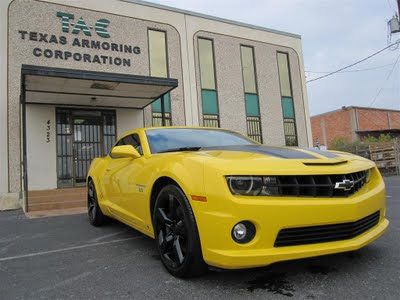 Texas Armoring Corporation has a few clients who love driving so much that they want to armor a vehicle that they will personally drive and have fun in while still being protected. The new Chevrolet Camaro SS is no exception. This car not only has the modern technology meant to keep drivers safe but it also has the old muscle car feel that all enthusiasts crave, so when they received the call from one of their best clients, who just purchased one and wanted to have it armored, they were elated. 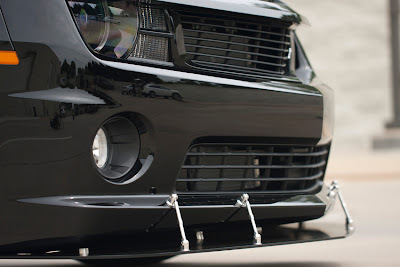 The beauty of their process is the use of ultra-lightweight composite materials, such as Spectra Shield®, which enables them to maintain the natural dynamics of every vehicle they build by reducing the weight added (in this case, approximately 350lbs) while providing their clients with the protection they need to stay safe. Their technicians take the vehicle through a rigorous process which entails removing all interior components, including the dashboard, so they may cut out the inner skin and install material between the outer and inner layers of sheet metal. Once this phase is complete, they weld the inner skin back into place and install each interior panel in its original position. This elaborate process is unmatched in the industry and ensures that when a vehicle comes out of our production line, it will be indistinguishable from a vehicle straight from its original assembly plant. Learn more about Texas Armoring Corporation and the cars that they build. Visit them online at www.texasarmoring.com, facebook and twitter @texasarmoring. The Czech Republic brings us this new professional grade vehicle Tintek wrap. The difference is, they make it in gold and silver chrome. Check out his Chevrolet Camaro SS with their silver chrome treatment! This would be sure to make a statement for any tuner/performance shop looking to showcase their work! We've seen the 'weathered' scale model cars set in very detailed diorama. I've often thought of having one commissioned to replicate our 1967 Camaro RS/SS L78, but this 1:1 scale model is something else. I'd be proud to drive it daily! JALOPNIK - There are hot rods. There are rat rods. 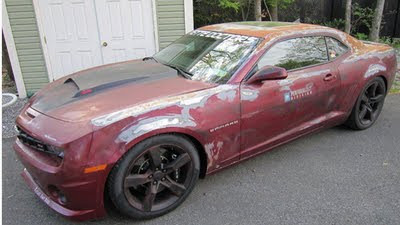 Then there's this: A new Camaro SS that's been speed-rusted and deglossed into junkyard condition while getting a 1,000-hp supercharged engine — and it only cost $150,000. Long Island hot rodders Dave Sherer and Anthony Musilli often show off their well-restored rides during Hot Rod magazine's annual Power Tour. 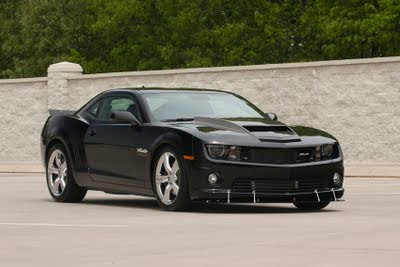 For this year tour with the 2010 Camaro's owner Bill Rombauts, Sherer said they wanted something no one would expect. Jalopnik tells is The Trans Am Depot is looking to manufacturer a Pontiac GTO Judge kit for the 5th Gen Chevrolet Camaros. Conveniently titled The Goat 6T9, to avoid any copy-write issues no doubt, this car is rumored to share performance modifications similar to the TransAm packages they offer. Names like Eibach, KM, Katzkin & ProCharger to name a few. The Trans Am Depot specializes in the design, fabrication and conversion of the 2011 Trans Am. Based on the Camaro platform, we will be offering a 6T9 version Trans Am, 6T9 Goat ("GTO"), 7T7 Trans Am and the limited edition Hurst T/A. As part of the new brand campaign, Hertz is offering fun, unique incentives around "Gas and Brake," including the Hertz "Getaway Giveaway" promotion. 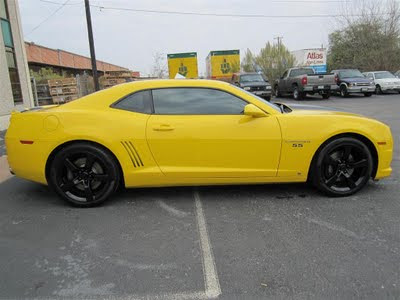 Visitors to www.hertzgiveaway.com can register to win one of 100 free weekend rentals and be entered to win the grand prize of a new Chevy Camaro SS. The Chevy Camaro SS is available for rent at select Hertz locations as part of the Adrenaline Collection™, a brand-new collection of high-performance muscle cars with designs and colors reminiscent of classic muscle cars. 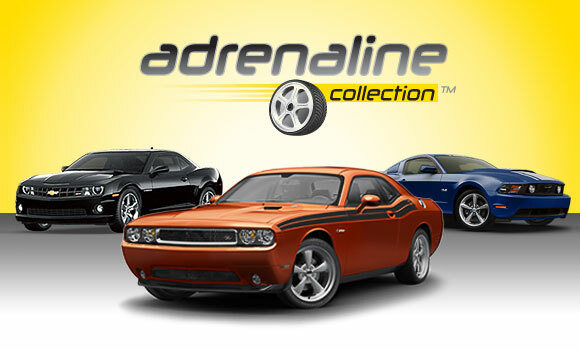 Relive the 60’s and 70’s muscle era with the aggressive new Adrenaline Collection™. 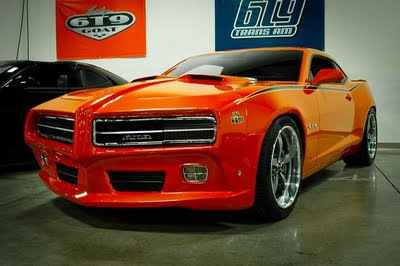 Each model has new modern body lines and colors & designs that are reminiscent of those famous classic hot rods. Hold on tight to that three-spoke racing wheel and enjoy the ride. Your vacation just got a lot more exciting. A legend reborn. Out of production for several years, the latest iteration of the Camaro has been bringing back nostalgia for car enthusiasts around the country. It has quickly reestablished itself as a certified hit, finishing 2010 as the best-selling muscle car in America. This sleek Camaro, with 400 horsepower from its 6.2L V8 engine and your favorite music booming from its 9-speaker Boston Acoustics® sound system, will put a smile on your face before you even leave our lot. 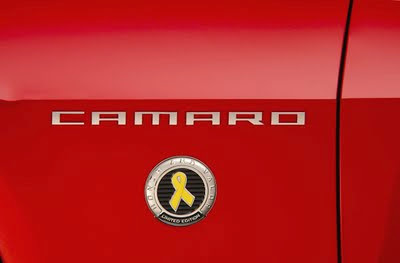 To conclude Military Appreciation Month, GM will debut a limited edition Honor and Valor 2012 Camaro SS at the Indianapolis 500 on May 28th. Only 99 of the special Camaros will be made and can be ordered by visiting www.gmmilitarydiscount.com beginning in May 2011. Cars will debut at the 2011 Indy 500. These red, white or black vehicles will feature a limited-edition Honor Badge, license plate bracket, heritage grille, side stripes, premium floor mats, painted ground effects, and one year of XM Radio. DETROIT – Chevrolet will honor National Military Appreciation Month by expanding the industry-leading GM Military Discount to military spouses and retirees; offering an exclusive “Honor” badge to anyone who buys an eligible Chevrolet through the program, and by donating $100 to Cell Phones for Soldiers for each eligible vehicle sold with a military discount. During May, the GM Military Discount program – already recognized as the best program in the industry – will be extended to spouses of Active and Reserve members, as well as retirees, of the U.S. Air Force, Army, Navy, Marines, National Guard and Coast Guard. The discount is available on most Chevrolet, Buick and GMC models with discounts typically ranging between $500 and $4,000 off the suggested retail price of the vehicle purchased. In addition, the GM Military Discount offers a $750 discount on selected Chevrolet, Buick and GMC vehicles to eligible members of USAA, a financial services provider for the military community. In 2010 alone, the GM Military Discount program provided more than 70,000 discounts to military personnel and their families with a cumulative value of more than $60 million. 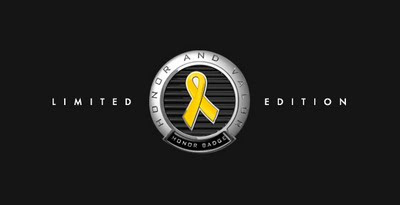 For every person who purchases, leases or orders a new Chevrolet using the GM Military Discount in May, Chevrolet will provide an exclusive set of “Honor” vehicle badges as well as contributing $100 to Cell Phones for Soldiers, a non-profit group that provides free communication tools to troops serving overseas. Since May 2010, Chevrolet and its dealers have collected more than 50,000 cell phones. Since the program began, proceeds from phone collections have provided more than 114 million minutes – or more than 200 years – of free calls home for U.S. troops. 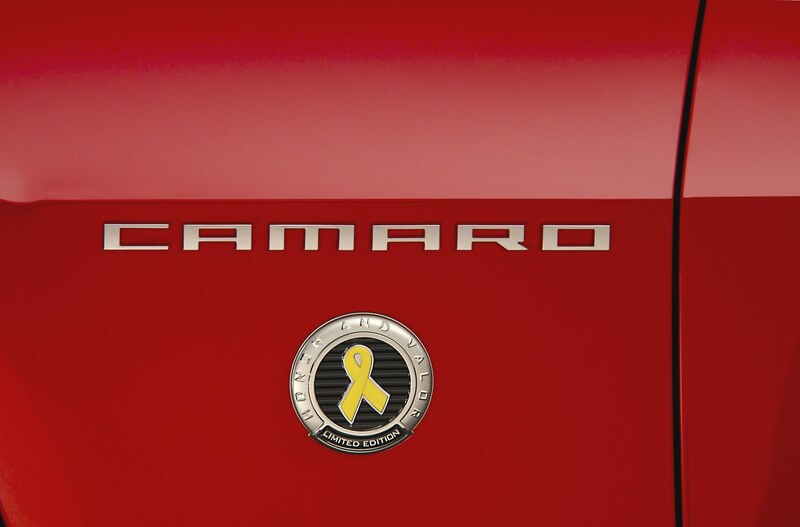 At the customer’s request, dealers will install the badges on their new Chevrolet at no additional charge. 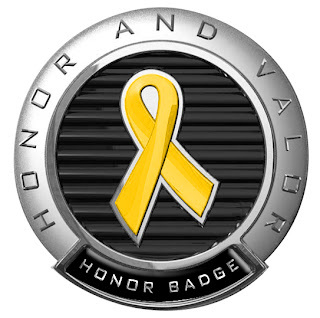 The badge features a yellow ribbon and “Honor” script, a subtle recognition of their service. 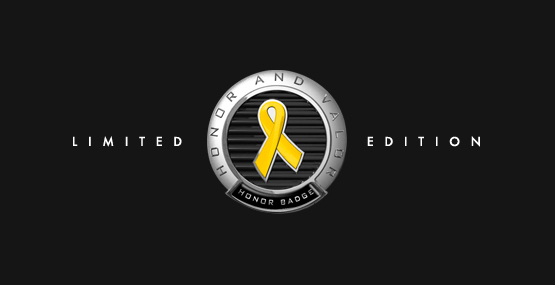 The Military Appreciation Month program will conclude with 99 “Honor & Valor” Limited Edition 2012 Chevrolet Camaro SS vehicles, which will debut during the Indianapolis 500 military personnel parade on May 28. The limited-edition Camaro will be available to order through www.gmmilitarydiscount.com, beginning in May. Cell Phones for Soldiers was created by Brittany & Robbie Bergquist of Norwell Mass. After reading a story about a soldier who ran up a huge phone bill calling home from Iraq, these two teenagers decided to help out. They started by opening an account with $21.00 of their own money. They are collecting cash donations and old cell phones. The cell phones are recycled for cash and the proceeds are used to buy prepaid calling cards for our soldiers serving in the Middle East. Cell Phones for Soldiers is a registered 501(c)(3) non-profit organization. Their efforts have motivated people and businesses around the country to donate to this worthy cause. Their goal is to provide every U.S. soldier with a way to call home for free. For more information, please visit www.cellphonesforsoldiers.com. Most of us have collected something related to NASCAR. Die cast cars, decals, shirts & hats come to mind. It sounds like DEI is about to bring something new to the table, but it will cost a little more than the aforementioned collectibles. This Camaro is based on a Camaro SS right from GM. Add-ons include an Edlebrock supercharger, chassis/suspension modificaitons, Kooks exhaust and many exterior and trim accessories. This car is sure to stand out amongst the other pony cars on the streets. Unveiled on Friday, April 29th, the first ten vehicles each dedicated to Earnhardt’s top ten career accomplishments: 1979 Rookie of the Year, 1980 Winston Cup Champion, 1986 Winston Cup Champion, 1987 Winston Cup Champion, 1990 Winston Cup Champion, 1991 Winston Cup Champion, 1993 Winston Cup Champion, 1994 Winston Cup Champion, 4 Time IROC Champion and 2001 Most Popular Driver. Each car will have a Certificate of Authenticity included with the package. The first ten cars will cost buyers Just over $85,000. There is one left if you would like to be included in that elite list of buyers. The remaining units will sell for $80,000 and it is yet to be determined if they will be readily available or built as ordered. More info, contact Dale Earnhardt Inc.